One of Duchess Kate's favourite designers Daniella Helayel kicked off London Fashion Week in style by showcasing her Spring Summer 2012 collection for Issa. Kate has been a huge fan of Issa for years wearing their pieces countless times. The collection has a rio vibe including samba inspired dresses. I must say I thought some of the pieces in the collection were stunning, Although Kate's relationship with the brand may be coming to an end. Camilla Al Fayed, sister of Dodi who was killed in the car accident with Diana, now has a 51% stake in Issa. Due to the hostility between the families Kate may opt to steer clear. Should she continue her relationship with Issa, I can see Kate wearing any of these. The two piece suit in particular is simply stunning! The Mulberry fashion show today, was hailed as 'fun and exciting'. 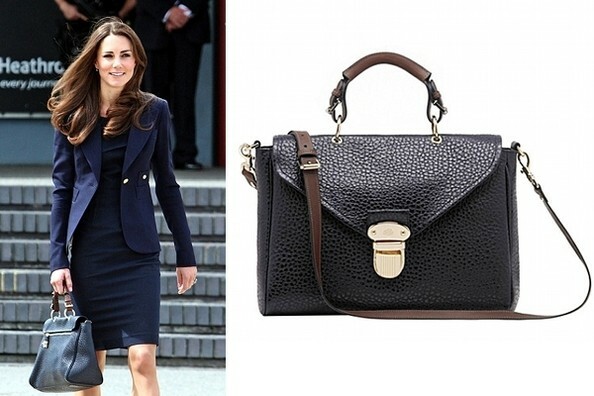 For fans of Duchess Kate, you will all recall her carrying the Mulberry Polly push lock tote boarding the plane to Canada. Today more bright and colourful bags were on display. The theme was described as 'going to the English seaside'. 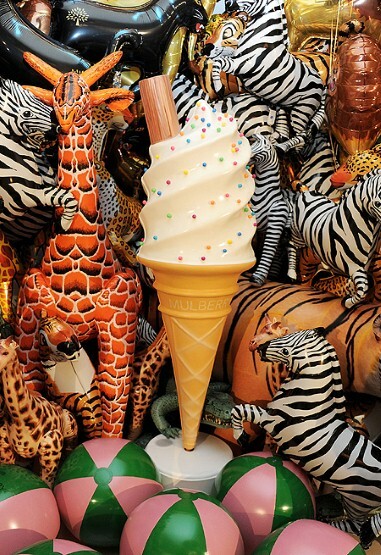 Complete with an ice cream van outside, the unconventional theme was unlike anything else we are likely to see at LFW. It is certainly colourful but still classic. The collection is Spring/Summer but the colours of the bags are quite Autumnal. Creative director Emma Hill said 'British culture is so much about being cheeky and irreverent'. Tomorrow Tempererly and Erdem will showcase their collections, I think we shall get an excellent idea of looks we may see Kate in from there shows! In other news, In the previous post I wrote that it was announced the Duchess is taking the Autumn to choose which charities she wishes to support. 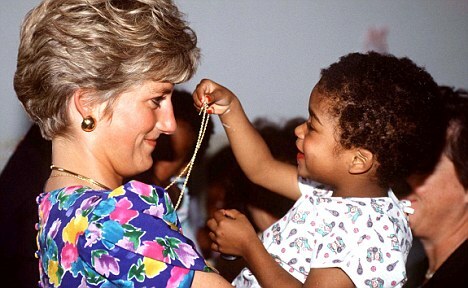 It seems she is taking the route Princess Diana took by making private visits to charities in the hopes of getting to know them personally before making her final choices. I think this is a wonderful idea as Kate is not someone who wishes to be in the spotlight too much. It will be interesting to see which she chooses, I expect to see children's charities included. Great post! I love your blog and will check in often. I'm so excited I have to share, I ordered Kate's LK Bennet Sledge heels & Maddox wedge shoes & Pippa's Modalu bag in Oyster (it sold out in couple hours). Waiting for delivery! I know you understand my excitement! Your site helped my research! I check your page everyday. But I'm actually glad Kate & Will have kept their privacy. I hope It remains that way for years. (as much as I love the updates)Thanks for your site. I dont feel alone in my admiration for Kate. Excellent purchases Nicki, The sledge and maddox are classic pieces and absolute favourites of Kate's. They will also look great with absolutely everything.